The 2018 Toyota Camry Hybrid is the most fuel-efficient version of all-new range of Toyota's popular mid-size sedan, its best-selling vehicle in the U.S. until very recently. The new Camry Hybrid is based on some of the same underpinnings as the 2016 Prius, and uses that car's updated hybrid system and choice of two batteries. 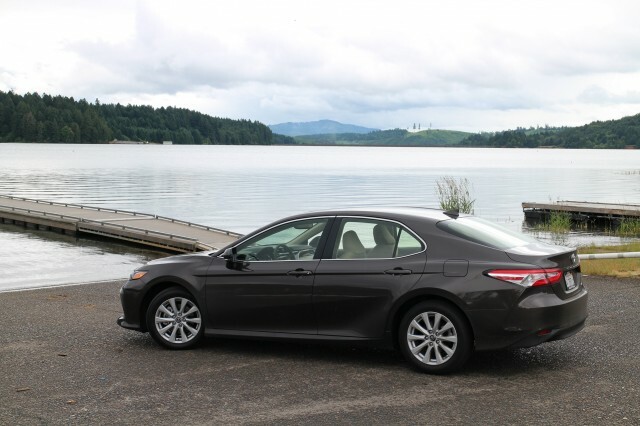 In a car we judged to be more stylish than any previous hybrid Camry, the results are impressive. It's the first mid-size sedan ever rated by the EPA at more than 50 mpg combined: the 2018 Camry LE Hybrid comes in at 51 mpg city, 53 mpg highway, for a combined rating of 52 mpg. We found the 2018 Camry Hybrid to be one of the two best-driving versions of the whole Camry lineup (along with the powerful but thirsty V-6 version) out of the five separate prototype 2018 Camry models we drove last month. The Camry LE Hybrid achieves its high fuel-efficiency rating because it's fitted with a lighter lithium-ion battery pack than the other two versions. The heavier Camry SE Hybrid and Camry XLE Hybrid models use the older nickel-metal-hydride batteries that Toyota has long relied on. 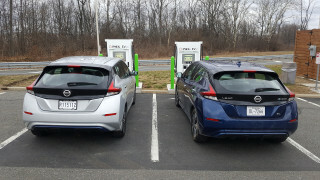 They're EPA-rated at 44 city, 47 highway, 46 mpg combined. Like the Prius, the battery pack of the Camry Hybrids now sits under the rear seat rather than in the trunk. That gives hybrid models the same 15.1 cubic feet of trunk space as any other Camry, along with a split folding rear seat back. 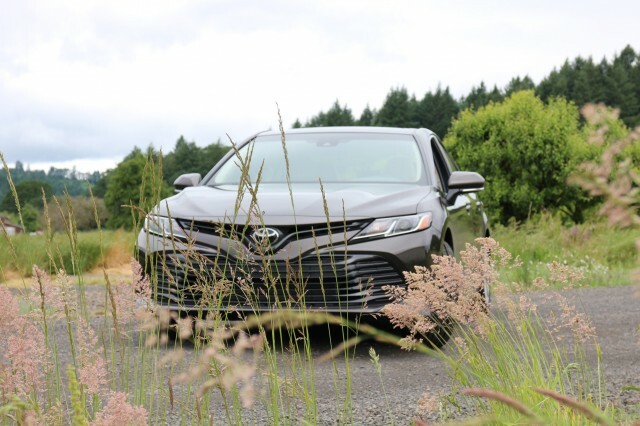 On the road, we found the new Camry Hybrid to be quiet and well-isolated except under maximum power demand, when a noticeable revving machinery noise comes from somewhere remote under the hood. 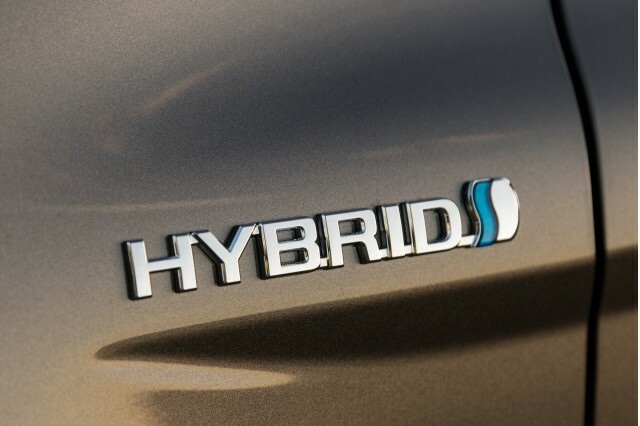 But the new generation of hybrid system frequently runs in electric-only mode at variety of speeds on flat roads, and when the engine switched on, it did so subtly enough that we sometimes didn't notice. As in virtually every hybrid from Toyota these days, the transitions between regenerative and friction braking were imperceptible. 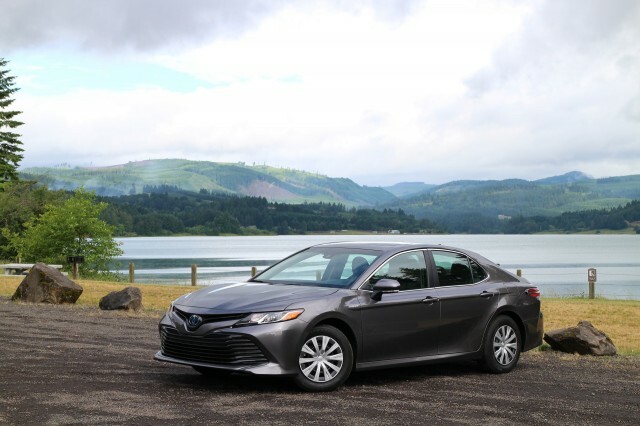 The new hybrid Camry isn't a particularly sporty vehicle, nor one that made us want to drive fast, but it’s smoother, quieter, and more pleasant to drive than the last generation. In fact, the Camry Hybrid was actually nicer to drive than the conventional 4-cylinder model. On the road, that car's 2.5-liter engine and 8-speed automatic didn’t prove all that responsive or feel particularly fast. Like most new conventional cars with more than six gears in their transmissions, a demand for greater acceleration produced a pause followed by two and sometimes three downshifts before the car surged ahead. The hybrid, on the other hand, uses the immediate torque of its electric motors to produce strong acceleration off the line if you ask for it—enough to chirp an inside tire accelerating out of a corner, in fact. With five separate 2018 Camry models to drive, we had only limited time with the hybrid version, but we came away favorably impressed. 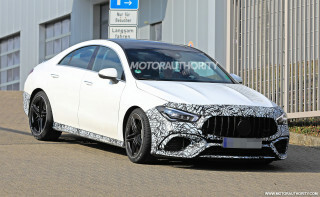 We think it'll be popular among current owners, and with luck, perhaps its sleeker and more appealing lines will attract new owners as well. We do question its suitability for taxi use, however, as both front and rear seats are about an inch lower than before, and entry into the rear compartment requires negotiating a small opening between the rear-door pillar and the corner of the seat cushion. Still, over our brief and fairly aggressive test drive of 58 miles, we logged an indicated 50.4 mpg on the Camry Hybrid's trip computer. That bodes well for the future, and we look forward to testing a production model as soon as possible.